Freeways have their place in modern society to get traffic moving between major centres more quickly and efficiently, but this often isn’t what we are looking for when we go for a ride. A good case in point is the new bypass around Bulahdelah on NSW’s Mid North Coast to get holiday and commercial vehicles up and down the major thoroughfare more efficiently. 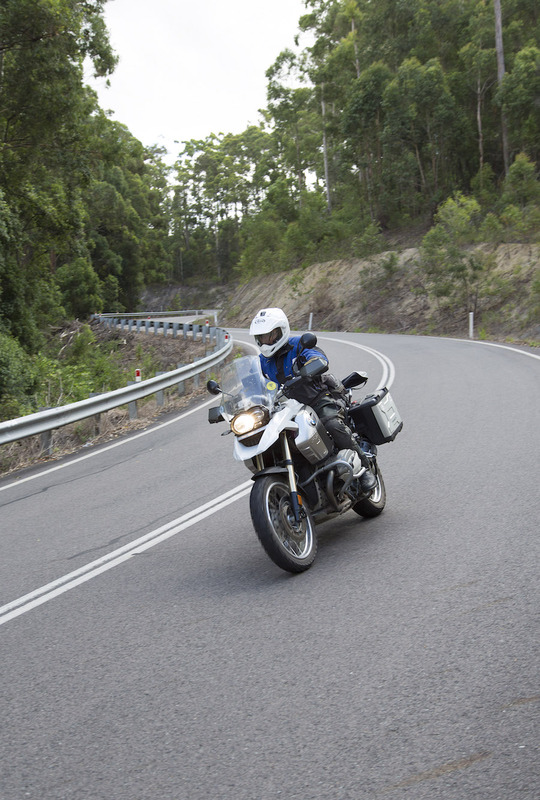 For this ride, we headed out of Bulahdelah on The Lakes Way for a more leisurely and enjoyable ride through the Great Lakes, where the scenery and the roads turned out to be an excellent detour around the boring highway stretch. Leaving the town of Bulahdelah requires are very short run on the new freeway before you turn right onto the Lakes Way, signposted as Tourist Drive 6. 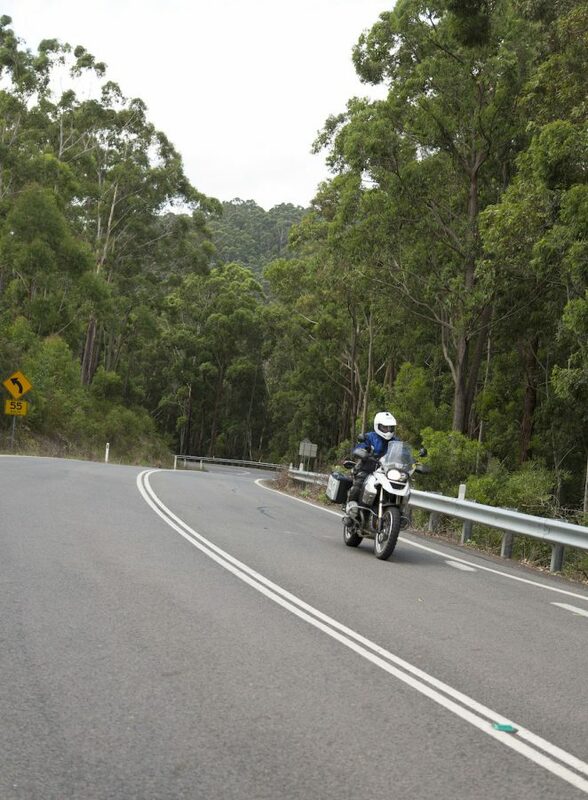 The road snakes uphill through the lower reaches of the Bulahdelah State Forest in a series of well-sealed bitumen corners that immediately vindicate your decision to take this detour. The landscape opens up a little as you pass turn offs to Violets Hill, a great camping spot, and on your right to The Grandis, allegedly the tallest tree in New South Wales at over 80 metres high. You know you are in the lakes region at this point as paperbarks and other wetlands flora become more obvious along the sides of the road. Smiths Lake comes into view on the right just before you pass through the small community of Bungwahl which has a general store and limited fuel. As you continue north there are some more great corners as you pass through the Booti Booti National Park, with the much larger Wallis Lake keeping company to your left. There are plenty of great spots to stop along this stretch with the lake on one side and the ocean beach opposite, and plenty of places to camp in among the low growing coastal foliage. Pacific Palms is a small sprawling coastal village on the edge of the lake with a cluster of shops and the Pacific Palms Recreational Club, which has a great beer garden overlooking Wallis Lake. 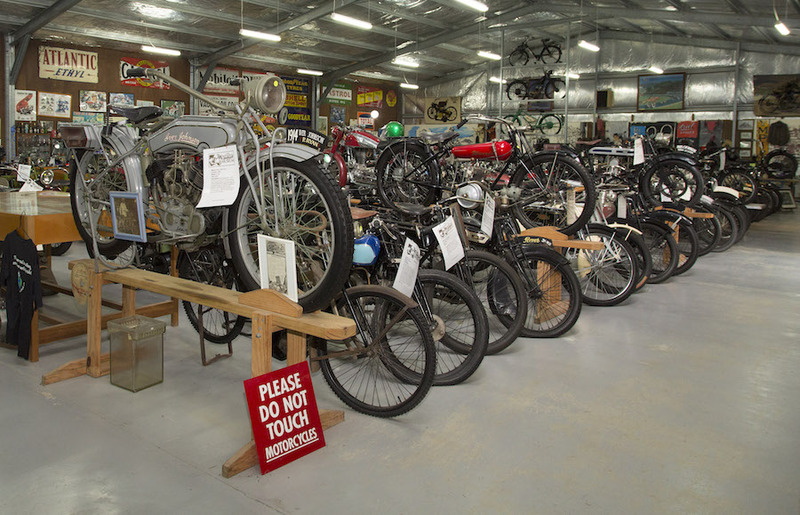 It is a short ride from here into the twin towns of Forster-Tuncurry which is the main centre along this route, with plenty of options for accommodation, food and fuel. Cape Hawke Lookout offers a good vantage point over the surrounding area but involves a 400-metre uphill walk at the end of the access road. Beyond Tuncurry, The Lakes Way continues north to rejoin the freeway at Rainbow Flat. This route from freeway exit to freeway entrance is only around 80km and runs reasonably parallel to the A1, so is a good option for riders who just want to get a break from a long run north or south. 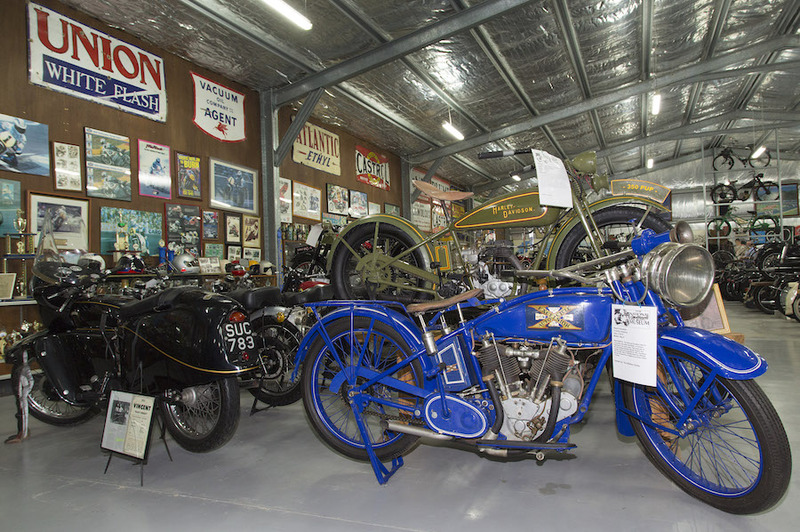 The road is good and has several great sections of corners as well as majestic views across the Myall Lake system to recommend it as a worthy detour from the monotony of the long ribbon of freeway that is now the Pacific Highway. The lakes region has a distinctive and unique laid-back feel to it, so don’t discount the option of staying a night to enjoy the peaceful lakeside environment. 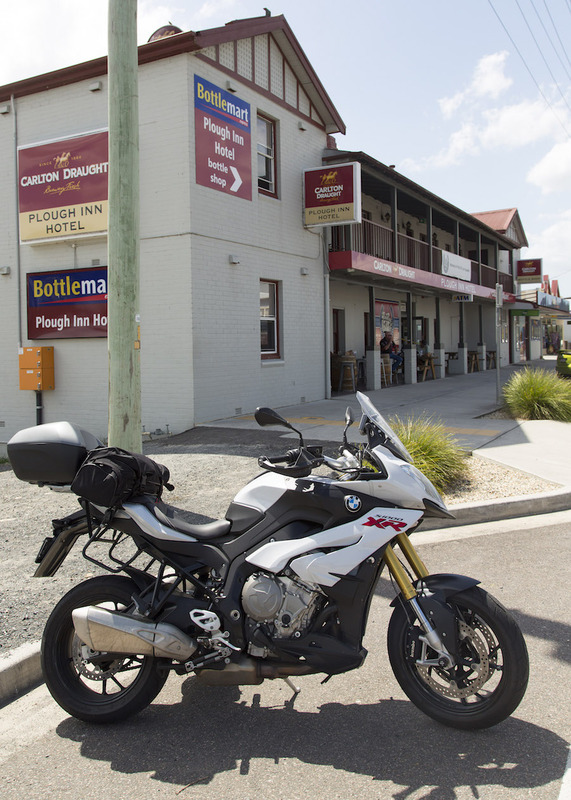 There is plenty of fuel options along this route at Bulahdelah, Forster-Tuncurry and Nabiac. Food and accommodation is also readily available at numerous places along the length of The Lakes Way. Just north of Tuncurry is another option to divert back onto the freeway. Failford Road runs from The Lakes Way at Darawank and passes through some nice stands of pale barked gum trees as it heads west towards the Pacific Highway. It is a fairly short and easy run, and where it intersects the main road you can head north or turn left and ride back towards Nabiac a few kilometres down the road. 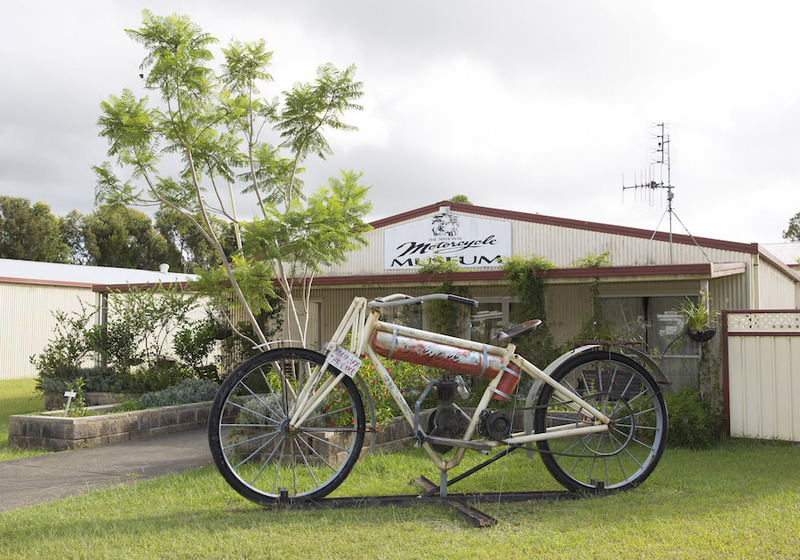 Nabiac has a good petrol station as well as a bakery, café, and other shops. 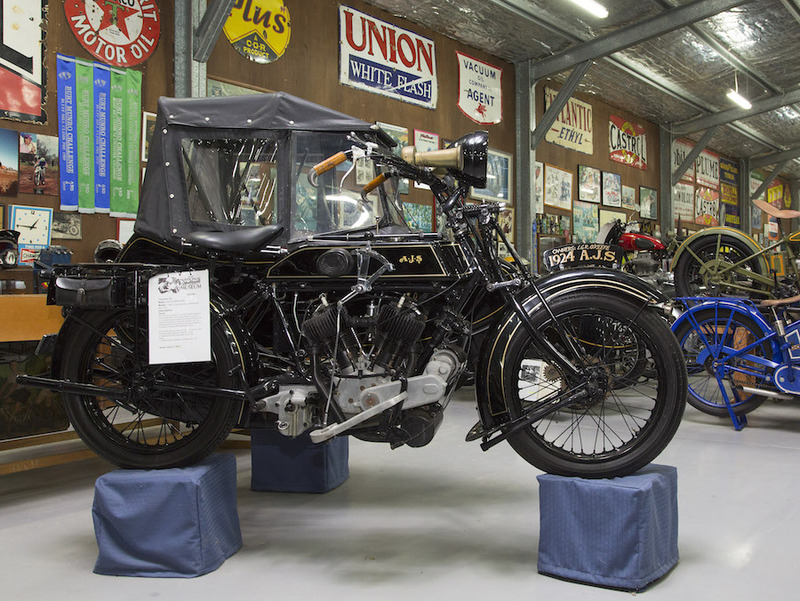 Most importantly it is home to the National Motorcycle Museum which is why we like this particular option.